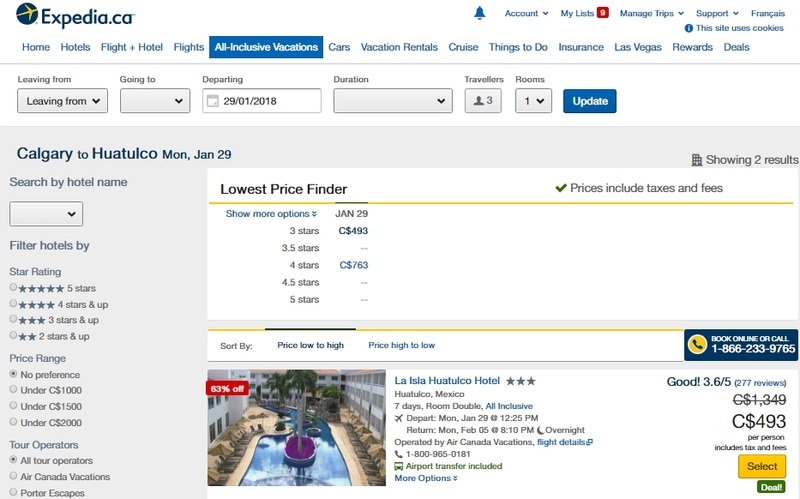 Air Canada Vacations is showing a cheap, last minute 7-night all inclusive package from Calgary to Huatulco, Mexico for $553 CAD per person including taxes. It's pretty common for a non-stop flight alone from Calgary to Huatulco to cost at least $500. You're essentially getting a week of accommodations, and unlimited food/drinks for $53/person. 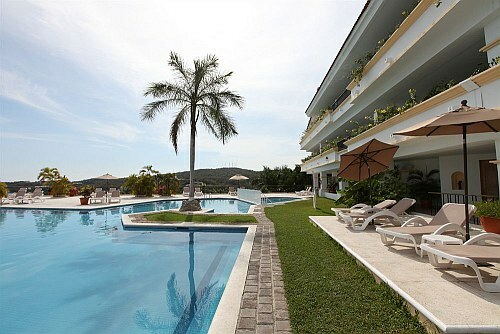 The hotel showing this price is the La Isla Huatulco Hotel. It's nothing fancy, just a solid 3 star, but gets pretty good reviews on Tripadvisor (4 circles, 62% rated it Excellent) - although there are 3 recent reviews that are terrible. If you read through the first 3 pages of reviews, it'll give you a good idea of what to expect. calgary, yyc, all inclusive deals, air canada, mexico, huatulco, hux, air canada vacations and north america. 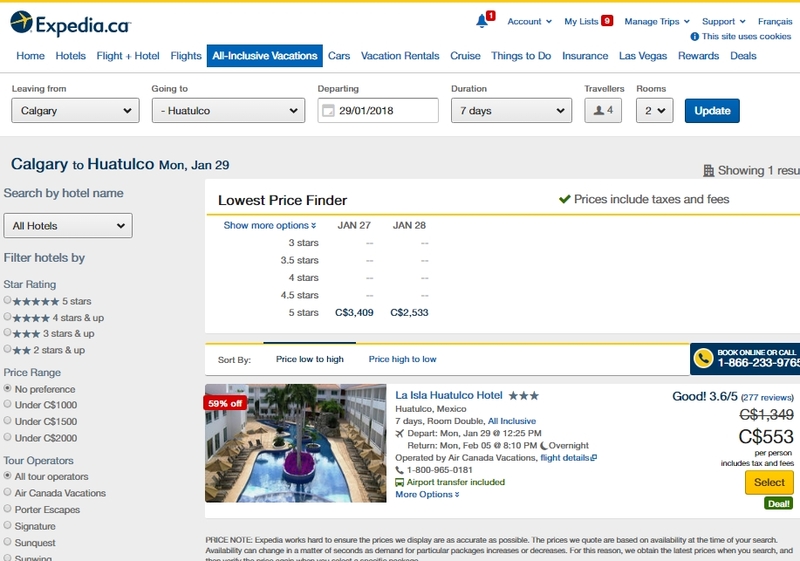 2 Responses to "7-night All Inclusive Package: Calgary to Huatulco, Mexico - $553 CAD including taxes"
I'm still seeing it, as of 9:27 AM MST. Were you searching for more than 3 people in one room? When you search for 4 or more, the price jumps up to $899/person. If you search for 3 adults, the price actually drops, to $493/person. If you search for 4 or more people, you need to increase the number of rooms to keep the price at $553/person.